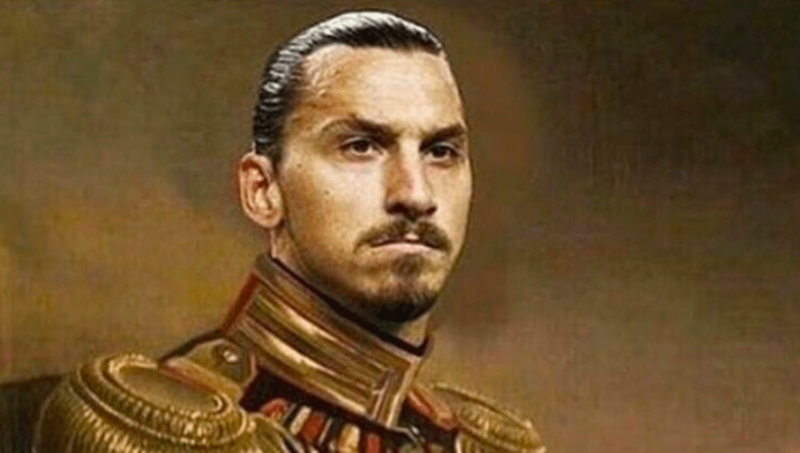 It’s official – it’s Zlatan day. The mercurial Swedish striker celebrates his 37th birthday today, and in honour of his legendary career, we thought we’d take a look back at some….well, interesting moments from his truly magnificent career. From La Liga to MLS, Zlatan has conquered wherever he has gone – taking with him on every step of the journey his swagger and brimful of confidence. One of the most famous footballing animosities pits Zlatan against current Manchester City manager Pep Guardiola. 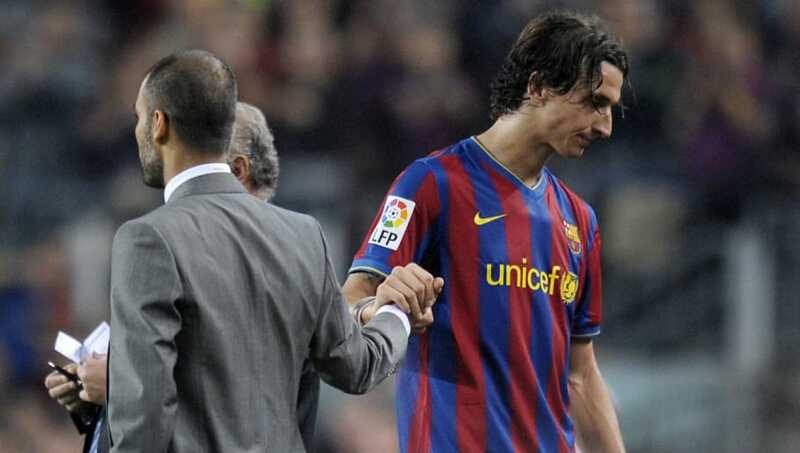 The two infamously worked together at Barcelona, but it’s fair comment to say they didn’t see eye to eye on any level – after a reported fall out regarding Zlatan’s work ethic and conduct, tensions boiled over during a heated dressing room spat. Zlatan allegedly threw a box of training ground kit in Guardiola’s direction during an exchange of words, before demanding that he be allowed to leave the club. He even threatened to beat Guardiola up if he didn’t get his wish – he did though, and soon he was calling Milan home. Zlatan has always been a leader on the pitch, never afraid to show his emotions towards his teammates or vent his frustrations. So it’s perhaps ironic that one of his most laughable pieces of leadership off the field was instructing his teammates to avoid talking to any of the assembled media following a PSG game. The Swede told his teammates that ‘nobody talks’, before telling a journalist who challenged him as to why they couldn’t because ‘I am the boss’. Needless to say, nobody said a word. Zlatan has feuded with a number of teammates over the years, engaging in several verbal and physical altercations. There are perhaps none stranger than his falling out with Ajax teammate Rafael van der Vaart back in 2004. The duo had faced one another on the international stage as Sweden took on Netherlands, and after the game, van der Vaart publicly accused Ibra of deliberately injuring him. Zlatan responded by threatening to break van der Vaart’s legs – before engaging in a scrap with Egyptian teammate Mido for added banter. As you do. Zlatan has never been short of confidence, we all know that. The Swedish superstar took things to the next level with a hilarious Instagram post in January 2017, when he posted a mocked up image depicting him as the King of Sweden. He basically carried the Swedes through World Cup and European Championship qualifying for a number of years, so I guess he kind of has a point? Zlatan has made an instant impact at almost every club he has played for, and his recent delve into MLS with LA Galaxy proved to be no different. Trailing 3-2 on his debut, Ibra needed to pull out something special to get his team back on level terms – and that’s exactly what he did. Allowing a bouncing ball to drop, he rifled an unstoppable knee high volley over the goalkeeper from all of 40 yards, sending the StubHub Center into delirium. Zlatan went berserk himself, ripping off his shirt before charging round like a man possessed. Safe to say he was quite pleased. It’s not just players, managers and journalists that have felt the wrath of Zlatan – the referees have too. Having played in several different countries, Ibra has most likely tongue lashed officials in multiple languages. He saved his best rampage for Ligue 1 though, when he completely lost the plot after a Paris Saint-Germain fixture in March 2015. 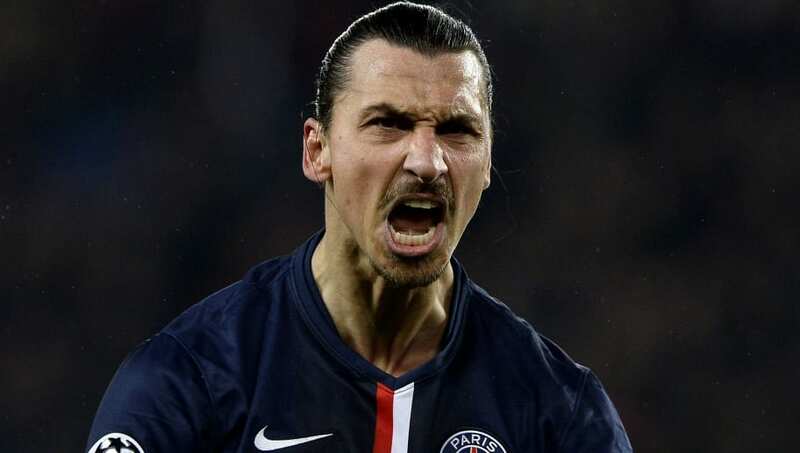 “In 15 years I’ve never seen a (good) referee in this sh*t country …(they) don’t even deserve PSG.” Ibra said – his rant earned him strong criticism from French politicians and he was subsequently banned from Ligue 1 for four games. Was he bothered? Not in the slightest. The coup de grace to this list is a painful memory for all England fans, but one that showcases the true genius of Zlatan as a footballer. In front of 50,000 raucous spectators at the opening of Sweden’s new national football stadium, he stole the show with a stunning four goal show – single handedly turning the game on its head. Scoring a stupendous long range free-kick wasn’t enough for Zlatan, as heading into the dying embers of the game, and with a hat-trick already under his belt, he unfurled an outrageous overhead kick from all of 40 yards to lob a stranded Joe Hart. The crowd went mental, Zlatan stood proud and Sweden’s national icon had truly announced himself as one of the finest talisman to ever play the game.